Are you selling products for kids? Then, try Bliss! Young kids with lots of enthusiasm will definitely like things fun and happy – best represented with the colour orange. So, what more can you get with this design? 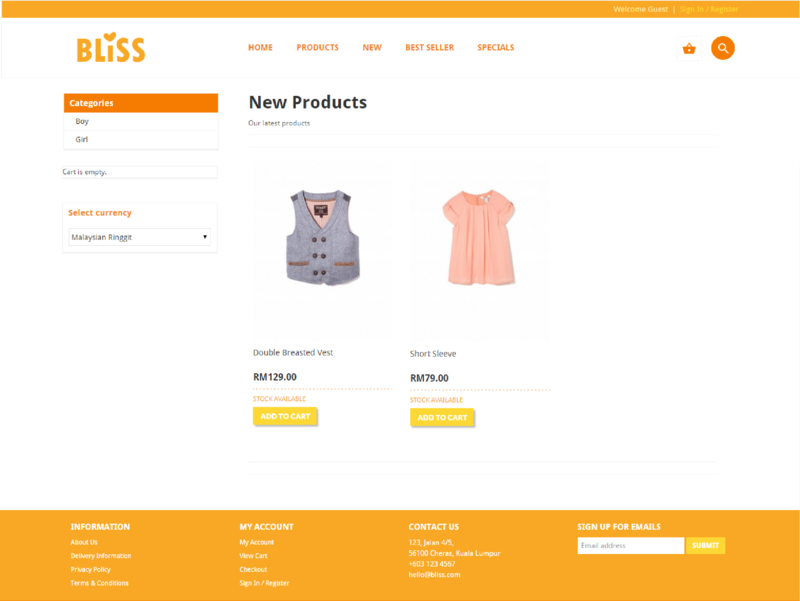 Don’t you think this website design looks livelier with orange colour? If you don’t, just don’t worry about it! We can always change them to suit your preference. Just reach out to us by phone: +603 9130 5218 or email: sales@webshaper.com; we will always listen to you. 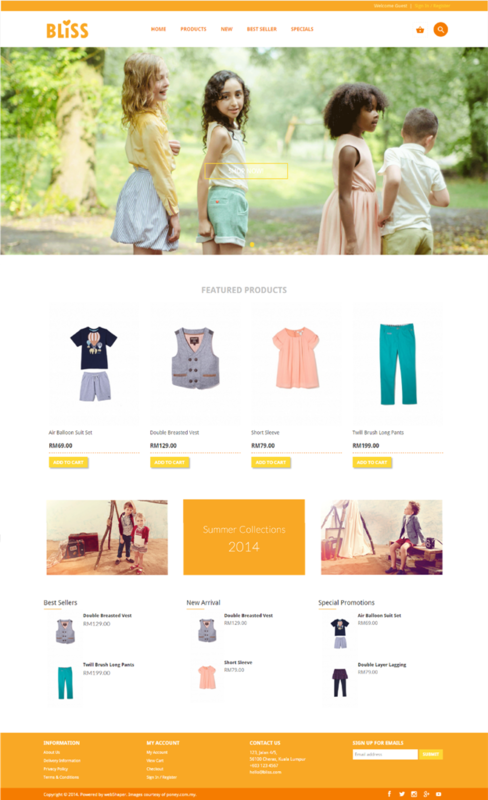 Bored with all the dull colours on your website and wanna try this fun and happy design instead?